The growth of home appliances power dictates the use ofeffective electrical safety, consisting in the installation of devices with built-in element of the protective earth. This additional protection for users and for the electric apparatus from the effects of leaks in the hull. 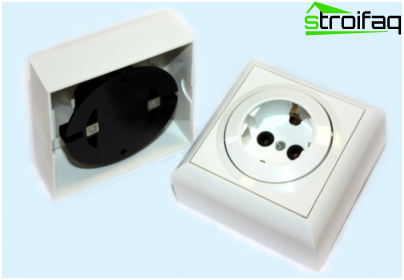 All imported equipment and advanced domestic installations are equipped with plugs with grounding contacts. To use a valuable option requires a special socket. Set can be yourself, if you know how to connect the socket with grounding and how it differs from the usual domestic counterparts. The advantage of a socket with an additional functionthe ground is that it is grounding contacts first come into operation, and only then the conductive elements. Here is the sequence and ensures complete protection. Externally, the socket with the grounding elements can be distinguished by the presence of the third contact. In French products is an additional third prong on American outlets - opening with side slits. We have a common German type. In the center of the German model has a cylindrical recess with two holes for mounting pin plug, the side are protruding metal parts, providing grounding. It looks already tested domesticuser outlet with earth, designed to harness the open type. Built-in appliances are installed mainly in the walls of city apartments shtrobleniya through holes for installation and field wiring. 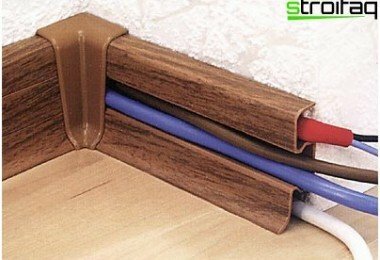 The range of western producers, there areoverhead wiring accessories used for power devices in the country houses of wood, in which the wiring is laid mainly open pit. It is also true for the city housing made of aerated concrete or brick equip mainly built outlets. 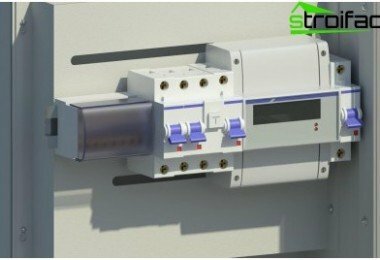 The owners of private buildings, furnished withusing a three-wire wiring, there is no difficulty: the installation of an earthed socket is carried out quite simply. However, if the socket with the grounding elements are to replace the old device in a city apartment, previously required to carry out a series of actions. 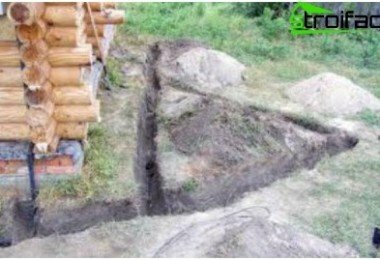 The upper floor tenants less problems, they do not have too far to pull the earthing. There are many other problems: need to provide for the transfer to the instrument ground. Bus wiring from the apartment to the groundeddistribution box, available in the stairwell. 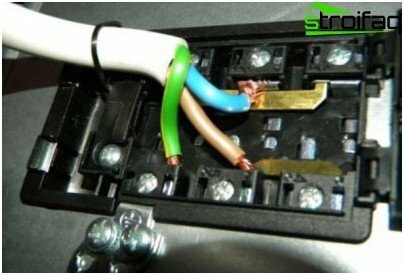 To connect the grounding terminal of wiring device in such cases used twisted copper wire. Performing vanishing instead of grounding outletie the connection of the earth contact to the neutral wire. Electricians, think that this method is preferable, since the closure of the zero and the earth pin will trigger RCD and automatic differential. Note. The insulation of wires for easy recognition painted a different color. At ground wires yellow and yellow-green color, brown or white color of the phase, blue, black or blue at zero. 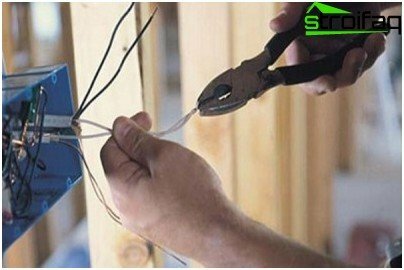 If the question is "how to make a grounded outlet"originated from the owners of apartments in the existing housing junction boxes, connection is made directly to them or to the shield if any. Work zero and phase should be wound up on the protective device connection. The output of the RCD all wires are bred for junction boxes and outlets on-site, in accordance with the planned scheme of arrangement. There are no strict requirements on the choice of the rightor the left side for the connection of the phase or zero. Phase and neutral are interchangeable. According to European standards both wires recognized phase power conductors. The configuration of the grounding member in the socketIt reminds the letter "P" formed metal plate. The plate has a hole fitted with a threaded bolt and by means of which is fastened to the protective contact. The two remaining pins are attached and zero phase in any order. Neutral and phase can be started separately at the bottom of each of the bolts or set them between the special plates, then collapsing by tightening the bolt. the greatest contact area and the conductive wires with safety contacts (as a result, a minimum contact heating). It is necessary to pre-bend the stripped wire into the ring, up to 5 mm in diameter and to have them at the top of the bolt. Before you install the socket with groundingyou need to decide on a rational place to position the device. 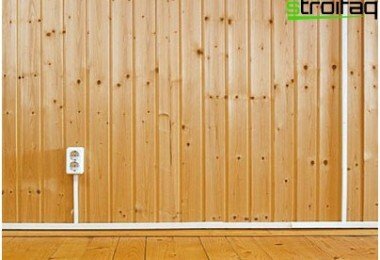 According to European stereotypes switches installed at a height of 90 cm from the floor, the wall outlet at 30 cm from the bottom of the horizontal. But no European standards or norms in the domestic regulated parameter adjustment No installation of these devices. Sometimes they are placed just above the skirting board,especially if there is a plinth niche for wiring. Wash floors with such a location of the outlet will have cautiously, constantly "pull" the fork is not very want to, because it is too low. In order not to spoil the picture of an interior excess wires advised outlet with earthing device mounted in the electrical installation zone. Maybe even the ceiling, if the socket is needed to connect the "hanging" on the TV brackets. Council. The optimum number of outlets for arranging large rooms find four pieces (one unit in the area of ​​each of the corners), in small rooms there may be two. It is better to initially set the excess number of outlets, it was not necessary to install additional devices after the change of the situation. 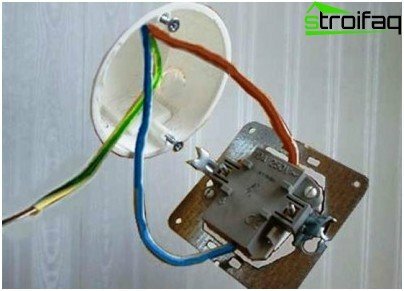 If the socket will be installed hiddenwiring with a ground sample for a niche in the wall and mount the plastic Escutcheon need a hammer and plaster, with which will need to secure the cable in the recess and peculiar plastic socket flange. The selected and marked for the installation location is the outlet hole using a punch with a special nozzle. For eyeliner wires using a level determined by Stroebe location. It can make a wall chaser. Before installation Escutcheon its position determined by the level. Important. Most outlets are now attached to the Escutcheon screws. From that, with some diligence set this device depends on whether it would be exactly rosette. Knead a small amount of gypsum, plastic box fixed to the device. The cable is laid in Stroebe, places harness is attached to the wall of the recess by means of plaster. 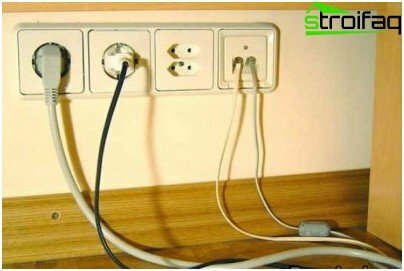 Before you will run directlyconnection socket with grounding, you must be sure to disconnect the power supply. Read the voltage from the connected device through the automatic shutdown or twisting tubes. Important. Be sure to check the voltage standard pointer, indicator or multimeter. 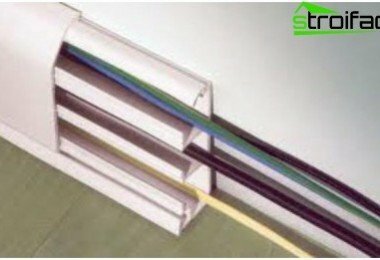 The cable ends have to clean up the insulation, multicore cable ends, it is desirable to tin solder. Approximately 5 cm of three-core wire is better to divide into separate strands. Connection wires with the contacts. Work is carried out in accordance with the above rules. Practical double outlet with most groundall equipped with the clamps contacts. The top and bottom in these devices often do not have, as required for connecting the pair of contacts is available from the top and bottom. Dual socket connected strictly following the rule: the leads should be connected to a variety of conductive plates. Important. Supply neutral and phase wires can not be connected to a conductive plate current. The consequence will be a short circuit, which can cause damage to the wiring. The working part of the socket without the upper lid is attached to the screws installed in the niche plastic box after joining all the wires. All the leads should be carefully hidden in the Escutcheon. Flanges wiring accessories oldsample mounting equipped with legs, moved apart after the tightening of screws available on the legs. But with the active use of sockets with grounding, pretty tough impermeable plug design with legs stagger and "dropped out." New products are equipped with robust threaded screw sockets, providing the most secure fit. The final touch - screwing caps. 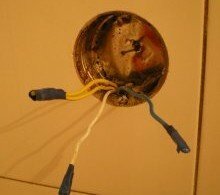 You need to make sure that the wires are securely connected and working part clearly laid out before screwing the lid. Those who prefer to arrange the outlet close to the baseboards, it is advisable to buy protective covers that protect the younger generation from curious dangerous research. In the applicator device has a rear mounting platewith holes for the fixing device. 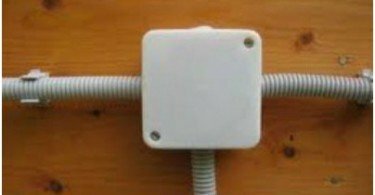 To open socket wiring grounding was exactly, you must first attach the device with the cover removed to a place of attachment and mark with a pencil points for the wall plugs for screws. Then drilled holes, dowels are inserted. Usually two screws are used with a length of 2.5 cm, and five millimeter two plugs. Securely attached to the desired location with the outletground contacts does not guarantee the correct operation of the device. If performed vanishing could be made traditional, quite often inaccurate: Connect the protective contact phase. 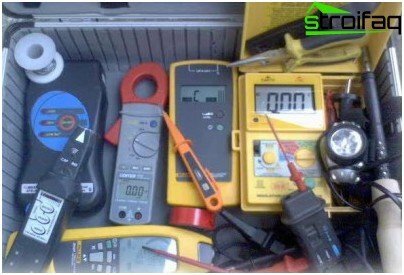 In such situations, the questions of "how to check the grounding outlet" is the only answer is to make sure that there is no contact on the security phase voltage. This study was carried out with a screwdriver indicator. By placing a screwdriver in the phase socket, the sensor probe is pressed against the insulated wire. Bright light neon lamp will signal the presence of the ground. Attention. In the process of testing the protective grounding can not touch any metal parts by hand. Fully test the ground can beonly using specialized devices. On checking, it is desirable to apply to the electrician to be sure. Measurements voltmeter between the phase and neutral conductor, as well as between the ground and the phase must demonstrate 220 V.
Contractor socket mounting need twoscrewdriver slot (with a blade width of 2 and 4 mm), the two Phillips head screwdriver (size 2 and 3 mm), Screwdriver indicator, mounting a knife, wire cutters for lateral cutting, hammer, pliers. Instrumental set future electrician shall have handles made of insulating material. For lack of insulation on the handles will need to make a rubber nozzle. With the process of installing sockets with protectiongrounding function of any who can hold in their hands the tools to cope on their own landlord. Just not worth the risk in the absence of the submission of the electrics. Description of the installation process can certainly help to do everything correctly, safely and securely.